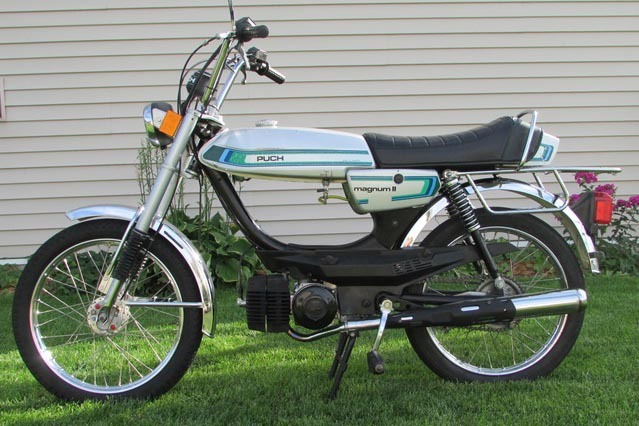 Exceptionally nice but not perfect 1980 Puch Magnum II with a 2 speed automatic ZA50 engine. 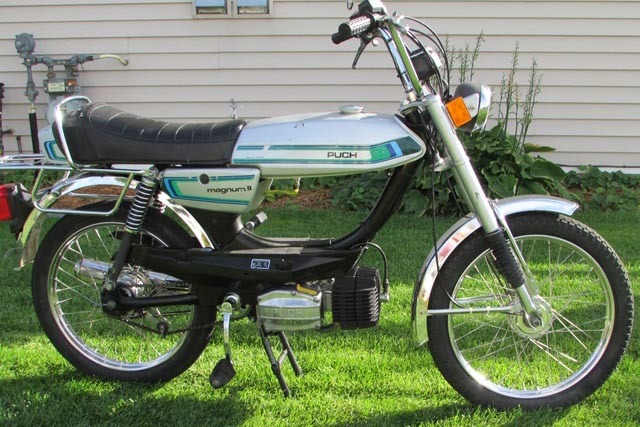 This is a great opportunity to purchase the infamous Puch Magnum without breaking the bank! This bike has just been detailed and fully serviced and runs excellent. 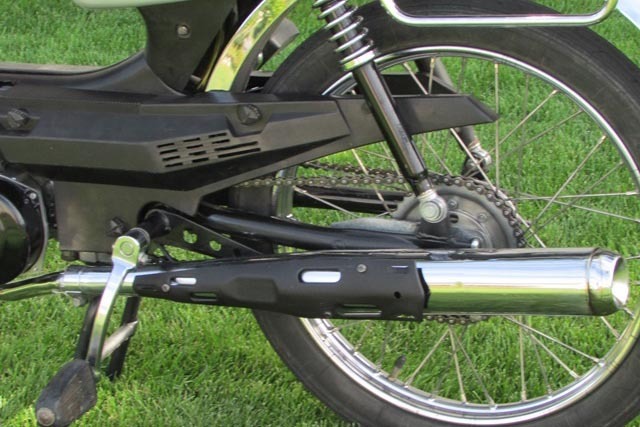 The bike starts on the first kick, and everything works as originally intended. 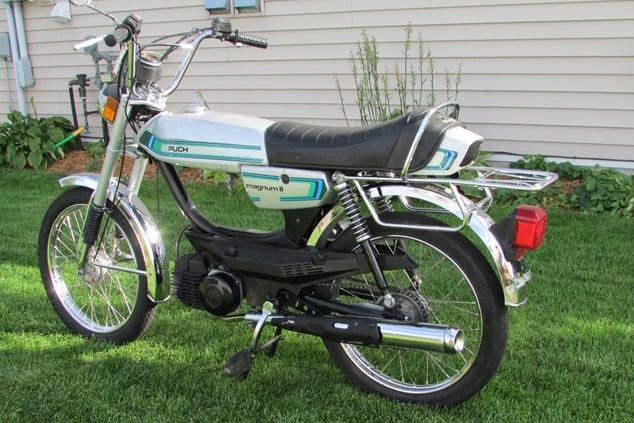 This moped is in excellent condition mechanically and cosmetically, but could use a few details to make it even better. The tank has a few dings in it, the seat has a rip along the rear seam, which has been covered in cloth tape, and the rear trunk door is broken. 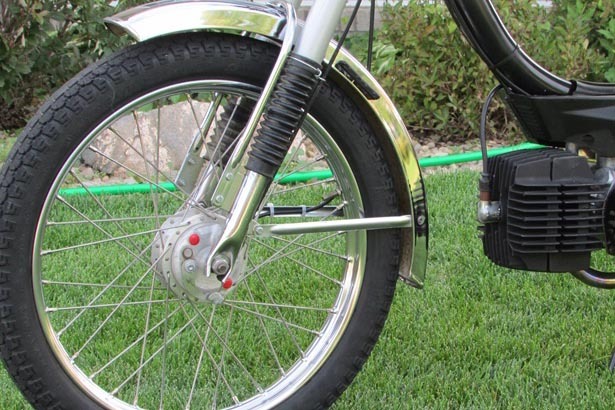 The tires are not weathered but are starting to get soft and should be replaced over the winter Other than that, it would make an excellent restoration project for someone, or you can enjoy it and ride it proudly just the way it is. The engine did get a fresh set of piston rings installed and a full tune-up was performed on it, so you are ready to go. We also ported and pre-setup this engine to accommodate a future performance chamber type exhaust if you decide to go that route. 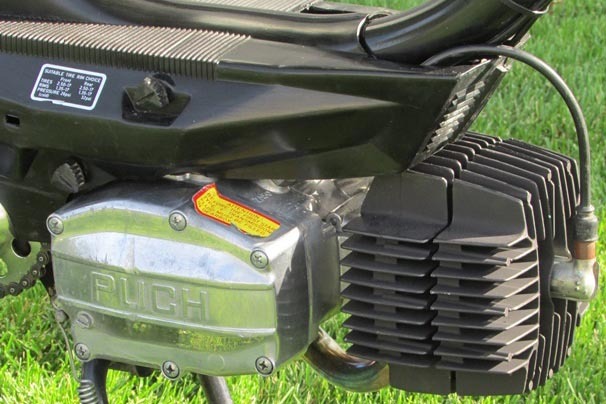 Adding a performance exhaust should allow you to reach a speed of around 40+ mph without changing any other stock items. 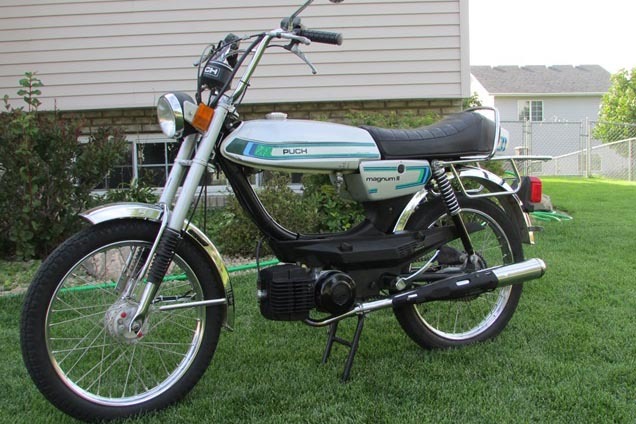 This moped is sold without any warranty, but should be a very reliable daily rider. $795.00 delivered (within a reasonable distance) . This Magnum doesn’t have a title, but we have verified that there is no current registration or DMV record, which will allow you to obtain a new title quickly in most states. Check your own State and municipality codes and regulations first however; as we can only guarantee a new title if applied for in the state of Minnesota here in the USA. What is the difference between the Magnum XK, Magnum II and a Magnum MKII? The original Magnums starting in 1978 were the basic red single speed XK and also a heavy-duty Magnum MKII model that featured oil-injection, hydraulic suspension and a 2 speed ZA50 engine. The MKII also came with alloy wheels and a gauge cluster “Dash”. In 1980, the Magnum XK was replaced with the Magnum II. 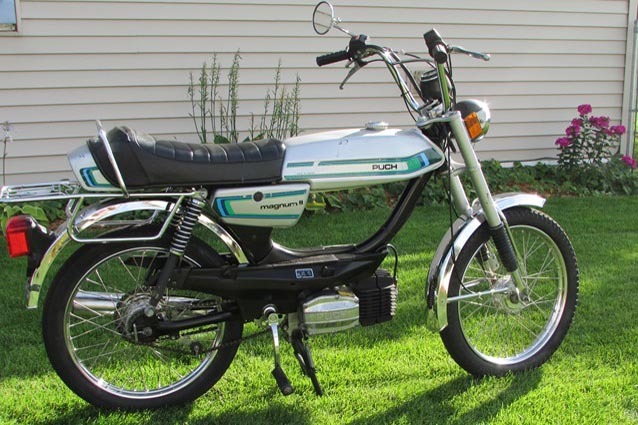 The biggest difference was that the Magnum II now came with a 2 speed engine (without oil injection) and a different paint scheme.